San Diego is a unique mix of residents and cultures, so San Diego Luxury Homes come in many shapes and sizes. San Diego is not a typical city with endless tract home suburbs. Rather it is a collection of eclectic neighborhoods which reflect the cities expansion over a 200 year period. 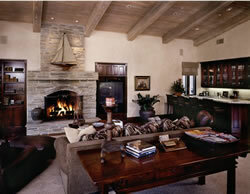 Luxury homes are a fast growing segment of the housing market and are drawing media attention. Click on the links below or read the article to learn more. The homes and estates built in San Diego County reflect a special laid back lifestyle unique to Southern California's culture and to the weather. The San Diego lifestyle may be described as easy going and centered around the outdoors and various sports or activities. Luxury homes in San Diego often reflect San Diego's attitude and sports orientation. San Diego Luxury homes are spread throughout the county. The architecture used in high end homes ranges from post-modern to old world tradition and of course the ever popular Spanish influence is evident everywhere. Below are some of the areas and their character attributes. North County - San Diego has outgrown its city limits. The population growth shows how much people appreciate challenging golf courses, hiking and horse trails, well-maintained parks, the performing arts, renowned spas and resorts, and an outstanding gardening climate. Coastal - San Diego 's 70 miles of coast embrace 14 communities. Each has its unique appeal, but all the beach towns are friendly and casual. Whether you fall asleep to the sound of waves or merely catch glimpses of blue horizon as you drive through town, San Diego 's coast communities dazzle. East County - The hallmark of life in East County: relaxed simple rural living. Even the larger communities maintain small-town traditions, such as El Cajon's vintage car gatherings and La Mesa's annual Flag Day Parade. Downtown - San Diego is the 7th largest city in the United States, and the newly revitalized downtown reflects thoughtful planning and marvelous options. Ours is a welcoming, dynamic urban center with wonderful ocean views as a bonus. The styles of housing in the area represent a long history of residential building evolution brought on by some of America's finest pioneering architects.